The Padres acquired pitcher Matt Strahm, from the Kansas City Royals last July with the idea that he would provide a left-handed relief option. Strahm spent five years in the Royals’ organization before being called up to the Majors in 2016. In two seasons with the Royals, he went 4-7 with a 3.81 ERA, 65 strikeouts, and a 1.43 WHIP in just 56 2/3 innings pitched. 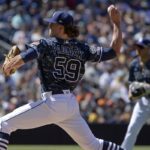 The 26-year-old from West Fargo, North Dakota, injured his left knee pitching last July and was diagnosed with a torn patellar tendon. Knee surgery on July 7th ended his 2017 season. Over the offseason, he completed his rehab assignments and reported healthy for the start of spring training. 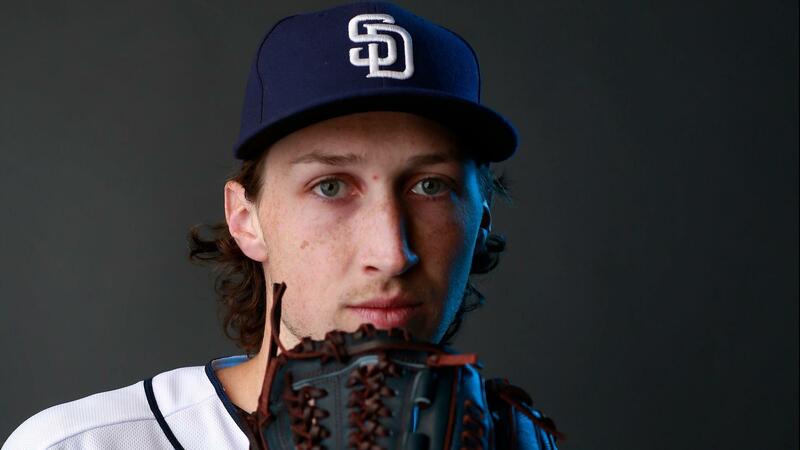 Just three weeks into Padres’ camp, Strahm appears ready to carve out a role on his new team. But what will that role be? In the weight room, Strahm is focusing on increasing the strength of his legs and conditioning his body. “I’ve been focusing on the physical side the most, and getting my knee ready for the season,” he stated. “I’ve got a lot to learn from everyone here this season,” he added. Strahm boasts a four-pitch arsenal, including a four-seam fastball topping out at 96 mph, and three secondary pitches: a slider, curveball, and changeup. His drive to learn from others and expand his pitches make Strahm an interesting piece to the puzzle in the Padres’ bullpen. Following surgery, Strahm is grabbing attention during his bullpen sessions, finding his spots, and impressing with his off-speed pitches, particularly the movement on his slider. 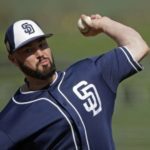 “I’ve been particularly working with Darren Balsley, (the Padres pitching coach) on developing my slider into my best off-speed pitch and creating the same hand speed with my fastball,” Strahm said. Balsley wants Strahm to increase the velocity on his fastball and rely more on his slider. As a Kansas City Royal, Strahm relied on his fastball more than 70 percent of the time as a left-handed specialist out of the bullpen. 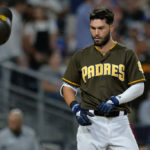 The Padres’ pitching coaches want him to adapt to a larger workload, believing he can crack the starting rotation at some point this season. To do that, he needs to gain experience using his full complement of pitches, not just his fastball and slider. When healthy, Matt Strahm brings versatility and pitch variety that could pay off with an expanded role this season. 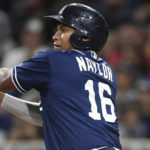 The Padres are thrilled to add his value to the pitching staff this year, catching a glimpse of what he can add to this team in the future. Strahm doesn’t become arbitration eligible until 2020, and a free agent until the 2023 season. He’s open to both starting or relieving this season. His desire is to help the team win. “I have no preference over either one, and whatever the team asks me to do, I’ll be happy with,” he said. 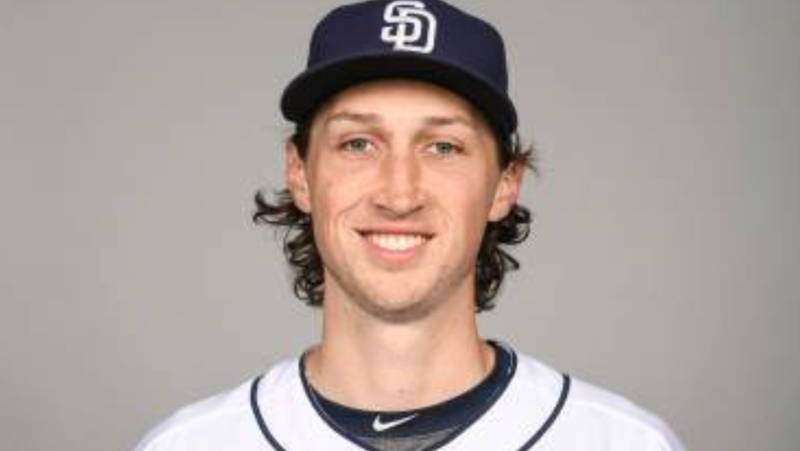 The decision for the Padres could be to start Matt Strahm down in Triple A, giving him time to adapt to starting and then calling him up when he’s ready. Or he could be in the bullpen on Opening Day. 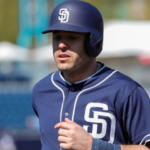 Coming off major surgery, he may need extra time to settle into his role with the Padres. Only time will tell. 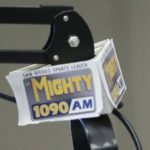 A native of Newport Beach, California, Brett is just (twenty years old) and has a passion for San Diego sports and America's two finest cities (San Diego and Newport Beach). He is currently a student at Drew University in Madison, NJ studying Computer Science and Business. 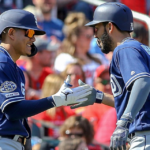 Brett is patiently waiting on the Padres first World Series championship and will be bringing you insight and knowledge on the Padres, Aztecs and Toreros. I believe in the Highest and Best Use philosophy, so following that I am saying Strahm should NOT stay in San Diego as part of the bullpen for now. Let him start in AAA and call him up when ready, IMO he would be first option if any of the 5 Rotation arms have injury issues or don’t continue the results they have shown so far in ST. I really like Strahm upside as a starter.